The autographs sector is an interesting investment market that is on the rise. The values for the world's most sought-after autographs grew strongly between 2011 and 2012. This upward trend can be witnessed by looking at the auction results from some of the top auction houses around the world. 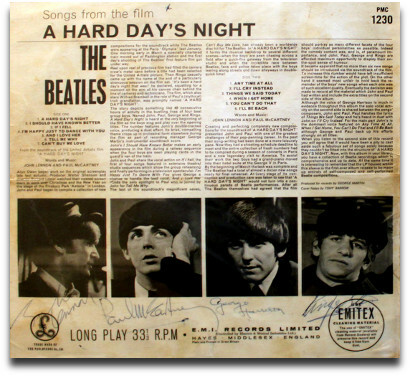 Autographs of the Fab Four are among the most sought-after items of Beatles memorabilia among collectors.They are ever popular and their prices continue to rise. This is particularly the case for items signed by all four members of the band. Items with all four signatures on, have rarity value and are highly sought after. The value of signed photos containing all four Beatles signatures has grown from £5,500 ($8,770) in 2000 to £24,000 ($38,270) today, according to the PFC40 Autograph Index - a rise of 14.33% pa. In 2006 a copy of the US release "Meet the Beatles", signed by all four Beatles, sold for $115,000! There are only about ten A Hard Days Night album covers signed by all four Beatles in existence, so these are as rare as hen's teeth. Today you could get around £35,000(approx. $55,700)at auction for one of these. Do you prefer the Rolling Stones? A series of love letters that Rolling Stones lead singer, Mick Jagger wrote to his lover Marsha Hunt made £187,250 ($302,265) at auction in December 2012. Marilyn Monroe (1926-1962) was a model, actress and singer best known for her roles in films such as Gentlemen Prefer Blondes and Some Like it Hot. Since her tragic death in 1962, Marilyn Monroe has often been cited as a pop and cultural icon. Any items that she signed are very collectible. 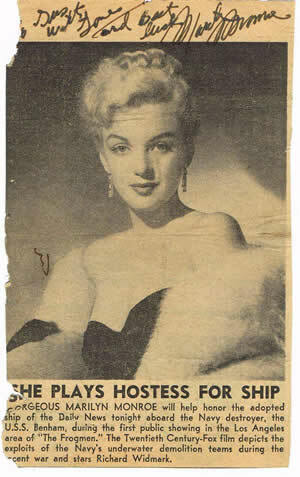 For example,an autographed newspaper clipping, measuring 6½" x 4" signed across the top in black ink by Marilyn Monroe, will sell for around £9,950.00. Marilyn's talent, good looks, relationships and her tragic death at a young age, have ensured that she remains a globally iconic figure to this day. Examples of Marilyn Monroe's autograph are incredibly popular with collectors and this is reflected in the prices these examples regularly fetch. A signed photo of Marilyn, inscribed to Joe DiMaggio, sold for $63,250 in 2010. The investment potential in Monroe memorabilia is obvious - Monroe's autograph has increased in value by 128.8% in the last 11 years. It is over a hundred years since the Titanic sank, but the name still evolkes massive interest from the general public. Any Titanic memorabilia is hugely collectible. 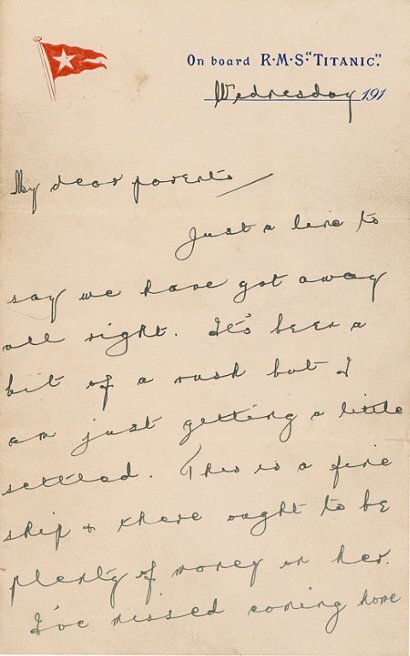 For example, a letter from the leader of the Titanic's band, written on Titanic notepaper just days before the tragedy, sold for $154,974 at a 100th anniversary auction in April 2012. As a general rule of thumb, if you can find unusual items that have a rarity value,are in good condition and signed by an iconic celebrity, they will usually do well at auction.